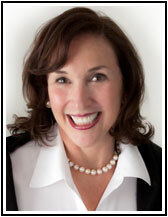 Workshops by Jo Ann Lederman, LMFT, MS Ed. Marriage & Family Therapist, Miami, Florida. Please contact me if you would like more information about a workshop, or if you would like to schedule a workshop for your team or organization. Temple Beth Am - "Feeling Good in Hard Times"
Columbia Presbyterian Medical Center - "Fostering Compliance in Cancer Patients"
Baptist Hopital of Miami - "National Osteoporosis Foundation Imagery Workshop"
WPO - "Visual Imagery for Health and Healing"
B'Nai Brith - "Normal Phases of Marital Development"
University of Miami - "Adult Children of Alcoholics"
University of Miami - "Assertion Training for Couples"
Temple Beth Am - "Emerging Woman"
South Miami Psychology Associates - "Emerging Woman"
Project Resolve - "Adoption and After"
Coral Gables Congregational Church for Rev. Guillermo Marques-Sterling - "Pre-Marital Workshop"
Call or email Jo Ann Lederman now - (305) 666-8833. Skype, phone and office sessions available.